Warm and comfortable, this all-occasion family-style steak and pasta house delivers a just-off-the-dock relaxed atmosphere with rich pine post and beam accent, pine and cherrywood tables and an inviting bar. 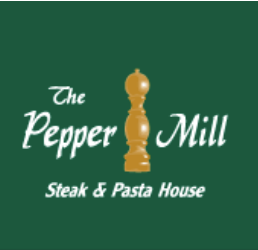 Serving top-quality Angus and AAA beef and fresh, made-from-scratch pasta dishes, The Pepper Mill defines a country charm making it one of the “must do” dinner destinations while travelling in the Haliburton and Minden area. Our extensive wine list compliments the dinner menu exceptionally and, with our large children’s menu, there’s something great to eat at every occasion.